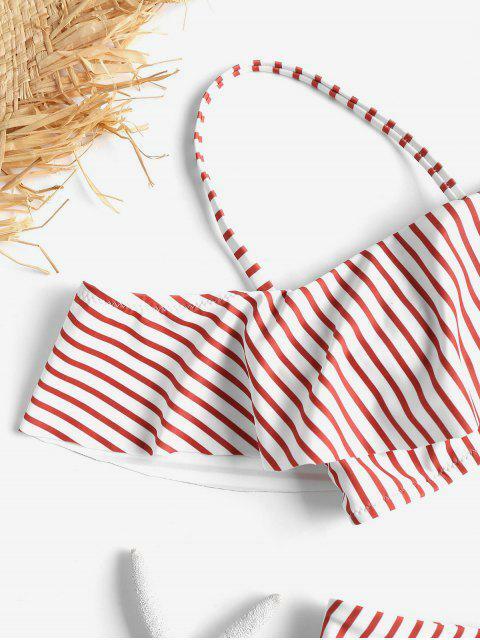 [43% OFF] 2019 Ruffle Striped V-wired High Leg Bikini Set In MULTI | ZAFUL ..
Super cute Looks exaclty like the pictures Comfortable and of fantastic material , fits bigger than normal . Super cute. I love it but it was broken when I got it. Must have been just a one off tho. Constructed in a simple striped pattern, the top features feminine ruffle overlay on the bust and built-in V-wired to accentuate the curves of the padded cups, balanced out by low-key mid-rise bottoms. Team yours with oversized sunglasses and embellished sandals for a summer-ready ensemble.